On May Day 2012, I’ll be joining in solidarity with workers around the world for “A Day Without the 99%.” My plans are simple: to spend the day in reflection, and perhaps share some appropriate music and movies with my children. I hope that next year I’ll be able to be in the company of Fellow Workers in Chicago for the day, but that’s simply not possible this year. If, like me, you grew up without knowing the significance of May 1st to the working class, you might find some of these articles of interest as we prepare to celebrate International Workers’ Day 2012. What is May Day and why is it called International Workers’ Day? [IWW.org] – May 1st, International Worker’s Day, commemorates the historic struggle of working people throughout the world, and is recognized in every country except the United States and Canada. This is despite the fact that the holiday began in the 1880’s in the United States, with the fight for an eight-hour work day led by immigrant workers. Building on May Day traditions today. [SocialistWorker.org] – On May 1, workers across the globe will demonstrate, attend meetings and go on strike in celebration of International Workers Day, a working-class holiday with origins in the U.S. more than a century ago. With class inequality reaching new heights and shaping politics in the U.S. and internationally, a new generation is discovering the importance of May Day and embracing its message of militant working-class struggle and international solidarity. 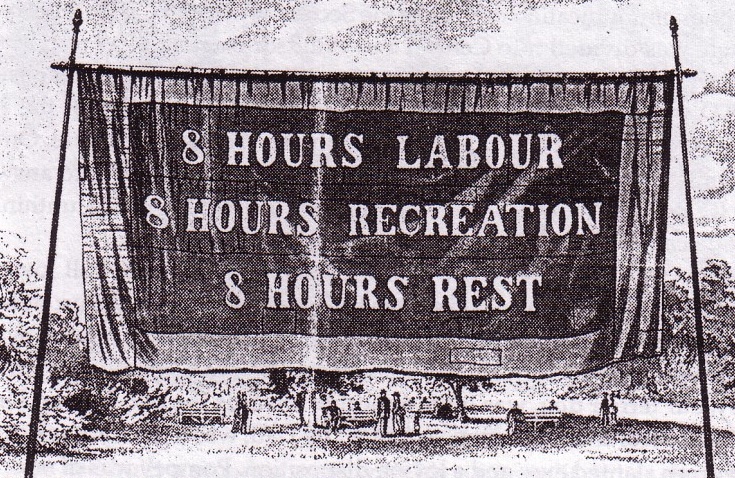 A Short History of International Workers’ Day. [Holt Labor Library] – May 1, 1886, became historic. On that day thousands of workers in the larger industrial cities poured into the streets, demanding eight hours. About 340,000 took part in demonstrations in Chicago, Milwaukee, Detroit, Cincinnati, St. Louis, Baltimore, Washington, New York, Philadelphia, Boston and other places. Of these nearly 200,000 actually went out on strike. The Haymarket Affair. 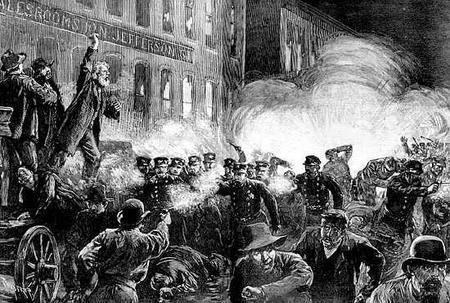 [Illinois Labor History Society] – No single event has influenced the history of labor in Illinois, the United States, and even the world, more than the Chicago Haymarket Affair. Addressing Objections to Occupy May 1st. [IWW.org] – There have been a number of objections or concerns raised about the May 1st, 2012 general strike. Juan Conantz attempts to briefly address some of the most common ones.